Running numbers: 4700 - 4708. 1922-23 (4701 - 4708) to lot number 221. If the 'King' class were the ultimate design in express passenger locomotives, then the '4700' class could be considered as the most powerful of heavy freight engine designs although the class eventually became known as a mixed freight class due to the power available from its massive boiler. 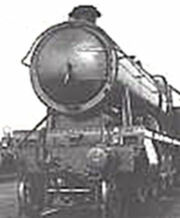 The prototype, number 4700 and the last of the Churchward designs, was produced in 1919 with the Standard number 1 boiler with an 8 feet long smokebox, 5 feet 8 inch driving wheels with thinner flanges on the inner pair of driving wheels and spherical joints to the rear pair of coupling rods to allow a degree of sideways movement. 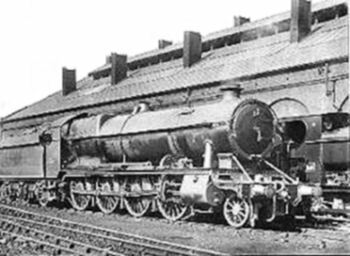 Number 4700 ran for two years before it was found that the engine required a larger boiler than the number 1 and therefore the Standard number 7 was fitted together with outside steam pipes and snifting valves in the steam chests. The other eight engines of the class were built to these specifications. Due to its axle loading, these engines were restricted in their route availability, but their use in hauling holiday expresses on busy summer Saturdays was much valued. The only alteration to the later design was to the height of the front vacuum pipe as the original height caused many engine cleaners to trip over the pipe. The first of the class to be withdrawn was number 4702 in June 1962 while the last three engines were made redundant in May 1964. The highest recorded mileage of this class was from number 4705 at 1,656,564 miles. No members of the class were saved for preservation.